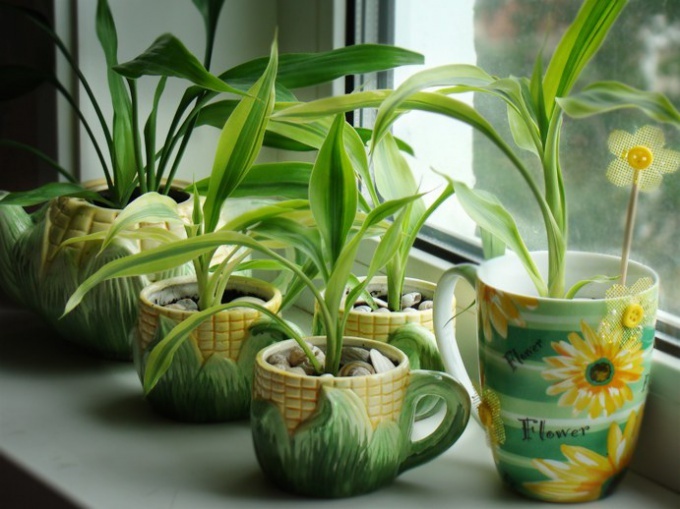 Flower pots will be an original decoration of your home, if you make them yourself. Try creating a ceramic pot, it will only need clay for sculpting, fantasy and kiln. - kiln or an open fire. Buy or search for the clay pot. To purchase clay is in stores that specialize in ceramics or in enterprises producing pottery or bricks. Or go to the nearest career and dig clay there. Remember it, and try to sculpt a ball – if it worked, type of clay more. Home knead the clay, break the lumps and add water. Leave the material for several hours in water, then drain the water and knead the rest into a creamy dough. For more comfortable operation can be added to the clay one teaspoon of sunflower oil. Start to sculpt the pot of the required size. If there is a Potter"s wheel you will be able to make pot more symmetrical and smooth. The wheel can be done independently, it is based on ball-bearing mechanism and smooth surface. If the Potter's wheel, try to make a flower pot without him. Take a piece of clay and shape a ball with a diameter of about 10 cm In the center hole and spin the circle on a few fingers. Then place the billet on the table and gradually make the walls thinner and higher, until you get the desired shape and size. All cracks and openings be sure to caulk liquid clay, otherwise the pot will crack during firing. As soon as the clay begins to dry – slightly dampen it with water, also can be wet. When the pot is ready as a whole, come up with decorative elements to the product was unique and unique. You can sculpt clay flowers or fruits, sculpt long sausage and stick with a wavy line to make a small bird and to "put" it on the rim of the pot with a fork or sharp object protsarapat patterns – it all depends on your imagination. Also, don't forget about the hole in the bottom, if the pot is necessary for planting flowers. The finished pot should be hot. If it is not possible to use a special kiln, find ordinary Russian stove, set the pot in the depths and spread the fire. Ensure that the wood or coals have not damaged the product. In a pinch, you can dilute the bonfire and burn the product in it. To put the product into the oven before the fire. Only when it stands, enclosed from damage (e.g., metal mesh), overlaid it with wood and light the fire. Watch – when the pot becomes bright orange, you can stop firing. But to get the product necessary only when it is completely cool. Ready pot cover with a special glaze for ceramics or paint with acrylic paints. When using the glaze requires another firing.